On the evening of Jan. 31, 1958, the United States orbited its first satellite -- Explorer 1. The effort was part of the nation's participation in the International Geophysical Year (IGY), a peaceful scientific endeavor. It also marked America's first step in the Space Race of the Cold War. Dr. Wernher von Braun led the Army Ballistic Missile Agency (ABMA) team at Redstone Arsenal in Huntsville, Alabama, that designed the rocket that launched Explorer 1. After the satellite was confirmed to be in orbit, he characterized the event as a crucial beginning for the nation's space program. “We have firmly established our foothold in space. We will never give it up." Plans to orbit a satellite were part of IGY, a scientific collaboration of 67 nations taking place from July 1, 1957, to Dec. 31, 1958. Both the U.S. and Soviet Union announced that their participation would include launching satellites to orbit the Earth. Even with the advance declaration, many Americans were stunned when the Soviets launched the world's first satellite, Sputnik, on Oct. 4, 1957. A month later, Sputnik 2 orbited with a dog as a passenger. 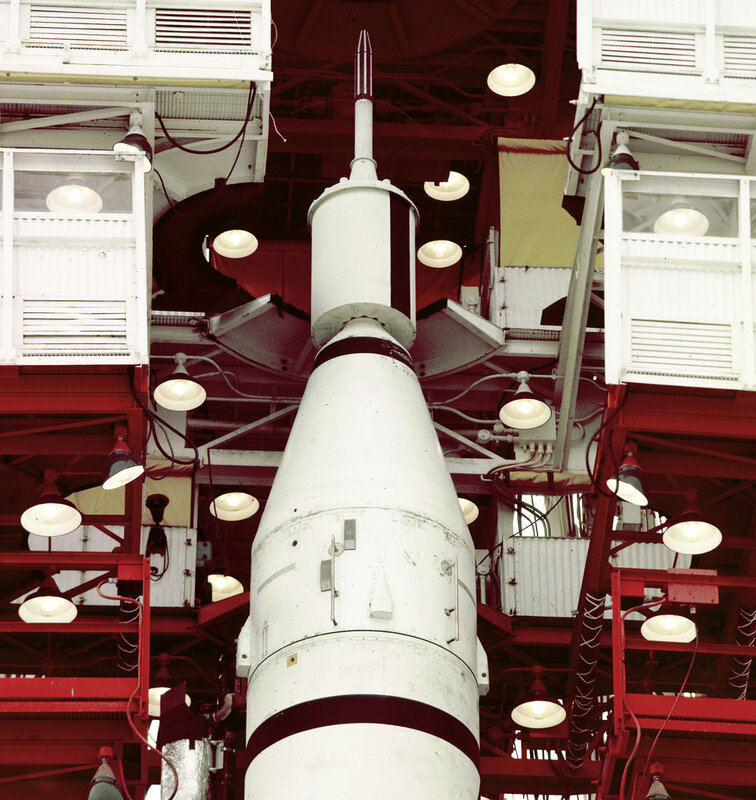 Plans to launch an American satellite began in 1954 and despite strong advocacy from the ABMA, the Eisenhower Administration chose the U.S. Navy’s Vanguard project to lead the nation's efforts for the IGY. 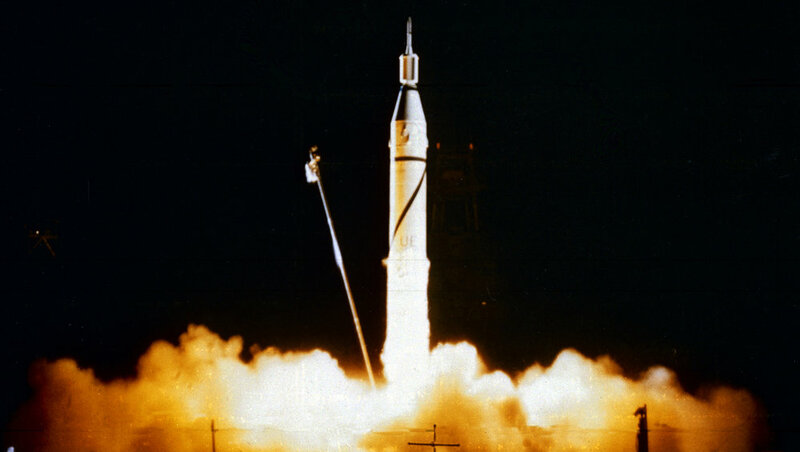 However, the first attempt to orbit a Vanguard satellite ended in a launch pad explosion on Dec. 6, 1957. The job of launching America's first satellite then was given to ABMA, which had been waiting for just such an opportunity. Taking on the task of designing and building the Explorer 1 satellite was the Jet Propulsion Laboratory (JPL) of the California Institute of Technology in Pasadena, California, directed by Dr. William Pickering. The Explorer 1 effort included the work of the satellite's principal investigator, Dr. James Van Allen, professor of physics and astronomy at the University of Iowa. He had been studying cosmic rays around the Earth. Van Allen developed instrumentation to measure the concentration of ions and electrons in space and to detect cosmic rays. 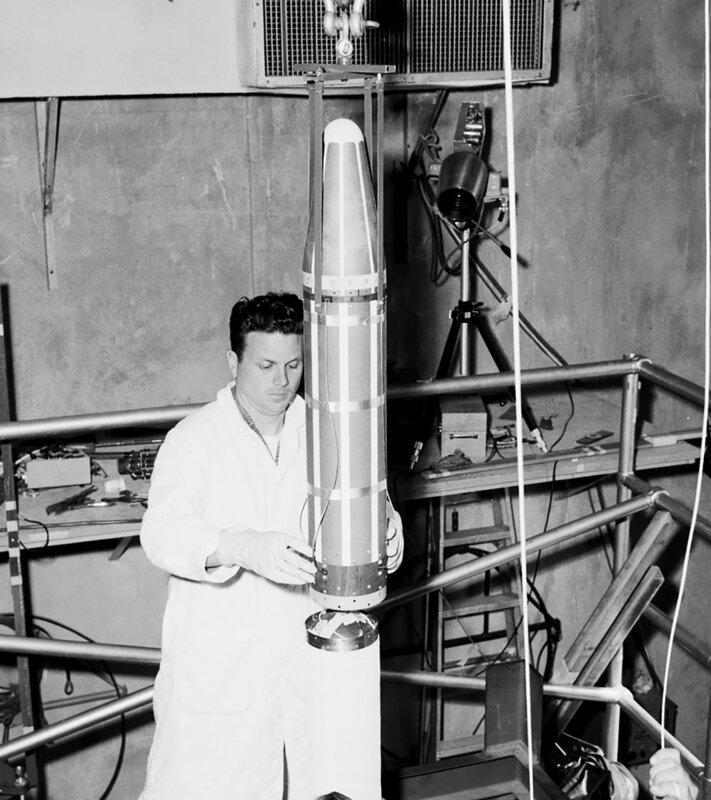 By Jan. 11, 1958, the work of assembling and testing the 30.8-pound, 6-foot, 9-inch Explorer 1 satellite was complete. The Jupiter C’s first stage was positioned at Launch Complex 26 at the Cape Canaveral Missile Annex (now Cape Canaveral Air Force Station), on Jan. 16. The rocket’s upper stages arrived at the pad on Jan. 24, and were attached to the top the rocket. On the evening of Jan. 31, a group of 57 engineers, technicians and managers monitored the countdown from the pad 26 blockhouse. Pickering, von Braun and Van Allen waited at the Pentagon. Plans called for the trio to travel to the National Academy of Sciences, where they would announce either success or failure. At 10:48 p.m. EST, the rocket roared to life and blazed a trail into the night sky. Soon it was out of sight and contact was lost as there was not yet a far-flung network of tracking stations. Pickering stayed on the telephone with his team at JPL waiting for confirmation that Explorer 1 was successfully in orbit. If so, it would pass over a California tracking station no later than 12:30 a.m. EST early on Feb. 1. That time passed with no signal. But at 12:45 p.m. came the report, "California has the bird." At the news conference, Pickering, von Braun and Van Allen reported that America's first satellite was in an elliptical orbit slightly higher than planned accounting for the 15-minute delay in receiving a signal from Explorer 1. The spacecraft was circling the Earth every 114 minutes, 1,594 miles high, with a low point of 225 miles. During operation, the satellite's cosmic ray detector discovered radiation belts around Earth which were named for Van Allen. In the 60 years since liftoff of Explorer 1, the eyes of the world often focuses on The Cape as additional spacecraft are launched to Earth orbit, the Moon and planets. In 1961, Alan Shepard became the first American in space lifting off only a few hundred yards from where the nation's first satellite began its mission. With construction of the Kennedy Space Center on adjacent Merritt Island, astronauts traveled to the lunar surface. For 30 years, space shuttles took crews to Earth orbit, culminating in construction of the International Space Station. Today, Kennedy is a premier, multi-user spaceport where NASA and its partners continue to launch spacecraft, and soon will send crews on missions well beyond low-Earth orbit.